Based on extensive surveys, this special report reveals how exhibitors and attendees find significant value in trade shows, and expect to for many years ahead. Use this report to help justify and enhance your trade show program! Exhibitors said how they are increasing their trade show participation, why they value trade shows, and how they are exhibiting better at trade shows than before. Attendees share the high value they place on trade shows for sourcing products, comparing and meeting suppliers, and keeping up on industry trends. Attendees also tell what exhibitors can do most that will catch their attention. 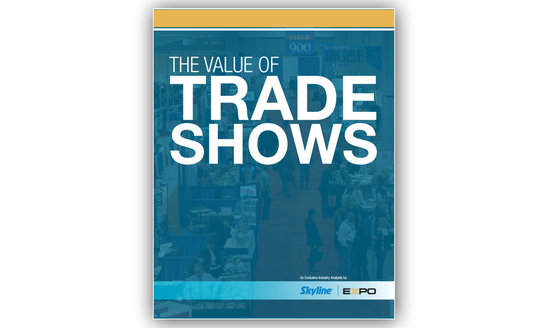 Request a free copy of the The Value of Trade Shows whitepaper today!